Explore the fundamentals of Ballet technique through a friendly, relaxed environment. This basic ballet class will be tailored to the level of all students while developing strength, flexibility, artistry, and coordination. Tights, leotard, and ballet tights are not required, but socks are suggested. Bollywood is the informal name given to the popular Mumbai-based Hindi language film industry in India. Bollywood Dancing is one of the hottest dances around! It is the foundation of every great Indian Bollywood film. The dances are a fusion of traditional and classical indian dances with the influence of some jazz, bhangra, hip-hop and modern dance. Timing and Rhythm, engery, and sharp controlled expressive movements are the important elements of Bollywood Dancing! 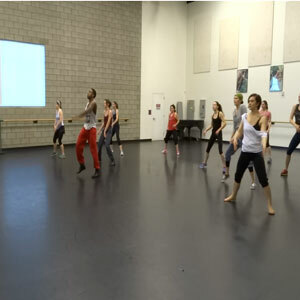 This energetic class uses an eclectic mix of music, from R&B to house to pop and teaches dancers hip-hop movements, musicality and technique while also working on rhythm, precision, and muscle memory. Using basic modern technique and the exploration of various movement styles, students will increase flexibility, strength, and coordination. This joyful movement experience is open to people of all ages and dance backgrounds. A faster-moving experience with West African and Congolese movement styles taught in an exciting and nurturing atmosphere to live drumming. Open to everyone 40 years of age and over. Increase creativity, fitness and longevity through movement. 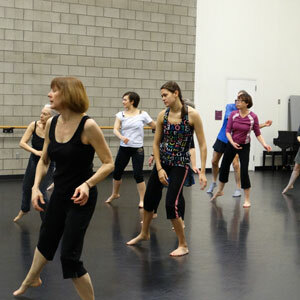 Throughout the session, instructors will integrate an eclectic variety of movement styles. Flamenco consists of three artistic elements: the cante (singing), the guitarra (guitar) and the baile (dance). The dancer physically interprets the emotion of the singer and guitar is through his or her movements, which include percussive footwork and intricate hand, arm, and body movements. The relationship between the artists is similar to that of jazz where there is a basic structure that one must follow, but at its heart, it is an improvised form. Technique: Beginning braceo (arms), footwork, palmas, body postures, rhythms for 4, 6 and some 12 count songs. Choreographies taught in this class are: Tangos (lively song and dance featuring great movement and footwork) and one of the four verses of Sevillanas (partner dance, but there is no need to bring a partner) Registration required. Technique: Intermediate technique including turns, remates, footwork, hand gestures, palmas, and upper body work. Rhythms for intermediate level 4, 6 and 12 count songs. Depending on the choreography taught during the session, it includes instruction on the use of castanets, shawls and fans. Registration required. Women: A long, full, flowing skirt. You can buy practice skirts at riversedgedancewear.com, or onstagedancewear.com. Men: Long pants, and flamenco or “folklorico” boots. Gestural vocabulary meets fluid athleticism in this fun, quick paced class that explores elements of improvisation and floorwork. This program aims to assist those living with Parkinson’s Disease by enhancing quality of life through the joy of dance and creative exercise. The class is designed with exercises in seated and standing positions. The class progresses with dances that emphasize coordination, balance, strength, flexibility, and agility, while stimulating the mind with creativity and imagery as a form of alternate symptomatic therapy. Drop-in to any 2 classes on 1 day for $20. All classes are considered "drop-in" with the exception of Flamenco. You can drop-in at any time during the session. Punch cards can be used interchangeably between all classes EXCEPT Flamenco. Punch cards are non-refundable and non-transferrable. You can register for a Flamenco session at the first class of each session, or using the button below. The current session of Flamenco runs from January 11-March 30, 2017. The next session will start on April 5, 2017. RDT reserves the right to cancel classes due to low enrollment and/or attendance. Classes must have at least 3 students in order to occur. RDT reserves the right to substitute teachers as necessary. We will strongly attempt to find substitutes before cancelling class, but emergencies do happen. Cash, check, and credit-cards, and ISIS Mobile Wallet accepted.